Nick David has been collaborating with filmmaker Jack Flynn again recently. This time the pair were commissioned by The Guardian to create a short film about the Great British ski and snowboarding team competing in the 2018 Winter Olympics. 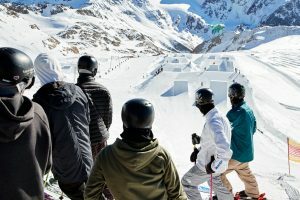 To film the teams in action Nick and Jack travelled to Stubai in Austria, where the team were training before heading to South Korea to take part in the finals. Filming Jamie Nicholls and Katie Summerhayes, who both claimed Word Cup silver medals this season ahead of the 2018 Winter Olympics, Nick and Jack capture them in action against the amazing snowy backdrop of Austria. 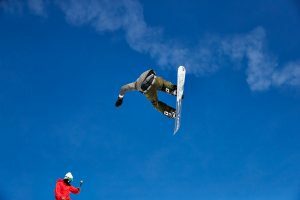 The pair also spoke to Katie Ormerod, who at just 16 was the first female to ever land a backside double cork 1080, but who sadly was injured just days before competing on this years Olympics. She chats here about why she loves snowboarding so much, explaining that there is a friendly atmosphere in the sport. She remembers talking to people from other sports and them finding it strange that she was such good friends with people she was competing against. Click here to see the video on the Guardian website.